Recently I scrolled through the list of recently published R packages when something caught my eye: threewords: Represent Precise Coordinates in Three Words which sounded interesting. The about page of their website explains it very well. what3words is an alternative to represent coordinates using exactly three words (instead of GPS coordinates for example). For each 3x3m square on the planet earth they defined 3 words that identify it. These words are defined in a way that if you make a typo, the wrong location is so far away from the desired location that you will notice it (e.g. on a different continent). Words are easier to remember than numbers. That’s probably true when you need to remember “table”, “chair”, “potato” instead of -36.8092 174.7276. They have used short and easy words. I have not tested that thoroughly but the steps they mention (automated and human processing, removing homophones like “sale” and “sail”) seem reasonable. Availability in 9 languages (some still beta). Fixed and universal. The words for each position are fixed and will never change again. Currently the R package does not much but convert three words to coordinates (if they exist) or coordinates to three words. So far it only provides english words. First you need an API key that you can request at their website. The order of the words is important, but when you swap them by accident, you will definitely notice. The position is totally far away from the original position, so we might notice that we mixed something up. Unfortunately the package does not support other languages than english yet (I don't criticise it, it's version 0.1.0) but it can easily be extended. I simply downloaded the source code for the package and modified 4 of the methods. For each method I added the parameter "lang" and modified the urls accordingly. I used lang="en" so that it would still work like the package function when I don't provide a language parameter. These changes are of course only possible because what3words provides a GET parameter "lang" that takes values like "en" (for English) and "de" (for German). Since I used the same GPS coordinates you can see that the words are not simply a translation but completely different words. The collected source code can be found in what3words.R. 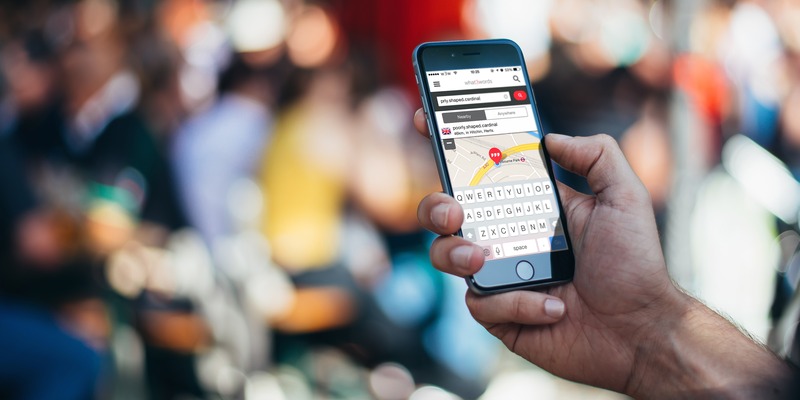 Feature image taken from the what3words Presskit.